The West Fork Trail is actually a paved road that runs approximately 7 miles to a small campground. It’s a very easy hike with plenty of shade, bathrooms, and almost no elevation gain. I saw a ton of people pushing strollers and young kids riding razor scooters on memorial weekend. The trail runs parallel to a creek with a ton of fishing areas, swimming holes, and sandy beaches. 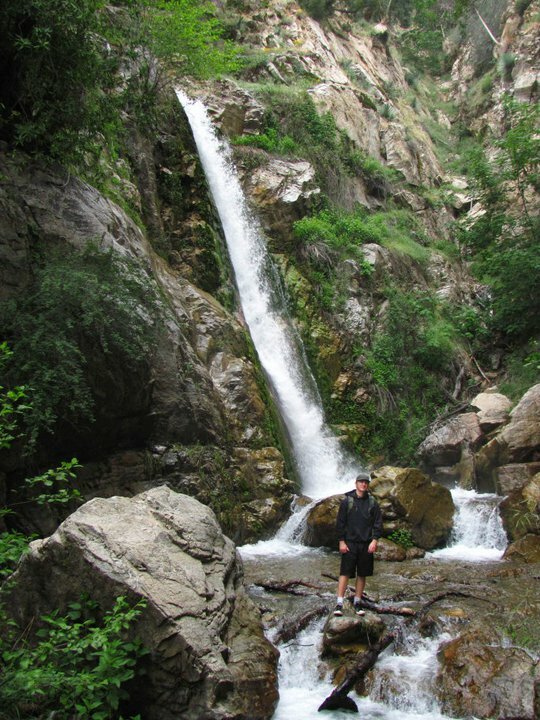 There are several decent sized waterfalls along the trail on the tributaries that feed the creek. 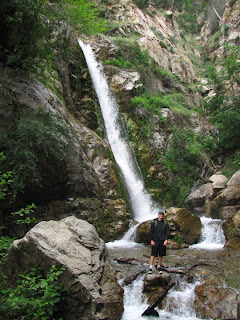 Several of the seasonal waterfalls along the upper part of the trail are fed by a natural spring and are probably potable. After passing the campground, the road climbs steeply out of the canyon for an additional mile to the Cogswell Dam. We had to walk our bikes up the last stretch of the road to get to the dam. There are several confusing “No Trespassing” signs at the top of the hill, but these refer to the private homes and not to the road itself. You can actually ride your bike across the dam, which was a pretty awesome and unexpected bonus. Although the road is open only to foot traffic and bikes, you will likely encounter the occasional construction or maintenance vehicle along the road. Bring plenty of water and snacks and make sure to have plenty of time to make it the dam and explore all the waterfalls along the way. The trailhead is located about 14 miles north of the 210 freeway in Azusa on route 39.